Established since 1998, Bathroom and Kitchen Planet remains a family-run business, which has been designing, supplying and installing quality bathroom suites and designer kitchens for nearly 20 years. We pride ourselves on offering our customers an unparalleled service and product range together with extensive industry knowledge, helping to make your new purchase for your home as simple and fulfilling as possible. We offer our customers a wide choice of competitive, quality brands including Jacuzzi, Duravit, Bette, Sheraton Kitchens and Hansgrohe to select from, all who use the best materials and craftsmanship. 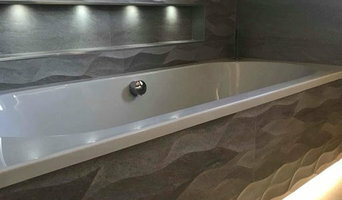 Please visit our Stirling showroom where we have many displays of quality kitchen and bathroom designs for inspiration. Our friendly and experienced team, will greet you and guide you through your exciting purchase. We cover Central Scotland including Stirling, Falkirk District, Perth, West and East Lothian. With many years' experience in the property refurbishment industry, DIG24 Bathrooms offers a full spectrum of Bathroom installation services. Whether it is, supply and fit or fit only, remedial repairs, insurance work, under floor heating, disabled adaptions, wet rooms, fitting bathroom windows, removing walls, exchanging a single piece of furniture or a complete refit look no further than DIG24. 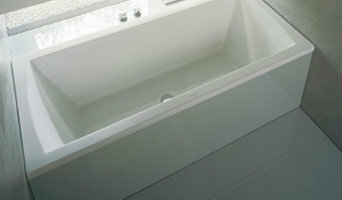 we are a local bathroom & kitchen showroom that provide you with professional knowledge and advise. We give you the personal touch. At Crest Bathrooms Glasgow we believe in choice that's why we offer supply only and a unique installation service. We can guide you through every stage, from planning to the final installation. With so many different products and designs to choose from it's a vital that you use our team's 100 years combined experience, we pride ourselves in offering open, friendly, and knowledgeable advice. 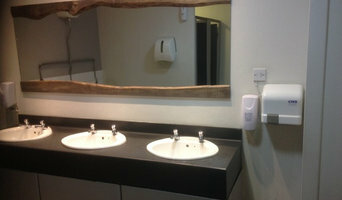 For almost 40 years now we have been providing bathrooms throughout Scotland, from Glasgow to the Hebrides. We have been based in Hillington Glasgow for over 20 years and our showroom covers almost 12,000 square feet ( THAT MEANS IT'S BIG ). We truly believe we offer exceptional advise and we take great pride in the finished article. Family run business supplying and installing bathrooms over 15yrs in Kilmarnock and throughout the Ayrshire area. Offering quality with a reliable service we supply bathrooms at trade price from our suppliers ensuring our customers receive quality name brands at low prices. Osprey have continuously achieved the highest independent online reviews in Glasgow and surrounding areas for fully designed and installed bathrooms, only using BRANDED products giving better quality and warranty without the price tag. See us on INDEPENDENT review sites such as checkatrade, trustatrader and ratedpeope. 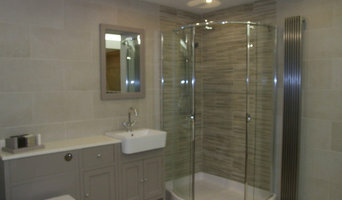 We provide bathroom and kitchen design and installation in Glasgow. We have over 15 years of experience in the trade and we have worked on many of projects large and small around the UK. There is know need to involve any other company when needing a new kitchen or bathroom, we have fully qualified plumbers, joiners, plasterers, tilers, electricians, painters and decorators. A quality Glasgow, Glasgow City bathroom designer will start by getting to know you, your family and your home, to understand how to create a bathroom perfectly tailored to how you live. Bathroom designs can vary hugely in spec depending on the size of the space and a good bathroom designer will be able to offer creative solutions that will still allow you to achieve the style you want in the space you have. From wet rooms to cloakrooms to luxury ensuite bathrooms, bathroom design can be particularly tricky because of all the plumbing and infrastructure involved, so it’s handy to have bathroom fitters in Glasgow, Glasgow City on call who can handle any plumbing, wiring or structural questions that may arise. Many bathroom designers will also offer a full bathroom fitting service, using their network of Glasgow, Glasgow City bathroom fitters to ensure you get a perfect finish. The benefits of employing professional bathroom designers and bathroom fitters in Glasgow, Glasgow City include guidance and advice on how to make the best of a small bathroom space or how to create a truly luxury bathroom if you have room to spare. From clever bathroom layouts to the best bathroom furniture your designer can help you make the best decisions and offer ideas for how to create the bathroom of your dreams. It’s essential for your Glasgow, Glasgow City bathroom designer to understand your needs precisely in order to design and fit the bathroom that you want. Being upfront with your bathroom budget will allow your designer to advise on tailoring your design to your specifications as realistically as possible. You can use Houzz to assist your design process by creating ideabooks that reflect your dream bathroom ideas and style, finding inspiration for colour palettes and materials for bathroom furniture, tiles, cabinets and bathroom suites all of which will be hugely helpful in guiding the process of your Glasgow, Glasgow City bathroom designer and bathroom fitters. Understanding your vision and any limitations will allow your designer to come up with creative ideas and solutions. A new bathroom won’t normally need planning permission unless it is part of a house extension or you are modifying a listed building, but it is always advisable to check with your local Planning Authority before giving the go-ahead to your bathroom fitters in Glasgow, Glasgow City. Building Regulations apply to the building of a brand-new bathroom, where there wasn’t one before. Floor structures may have to be evaluated to ensure that they can support the weight of a new bathroom and a full bath in use and in some cases work may be required to strengthen timber joists and boards. Your bathroom designer will be able to advise on bringing in a structural engineer or surveyor to assess the floor and, if necessary, produce the paperwork required by Building Control in order to commence the bathroom fitting or installation. How long have you been bathroom designers and/or fitters in Glasgow, Glasgow City? Find a bathroom designer on Houzz. Narrow your search in the Professionals section of the website to Glasgow, Glasgow City bathroom designers and bathroom fitters in Glasgow, Glasgow City. You can also look through Glasgow, Glasgow City photos to find a bathroom, wet room or cloakroom you like, then contact the professional who designed it and fitted it.